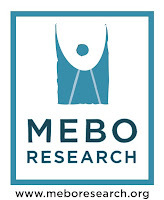 Tester 5 in the MeBO-Biolab body odor and halitosis gut dysbiosis study was our 'thorough tester'; and although the basic organic acids test result is not in, the other tests make interesting reading. ...a striking result was that Vitamin B2 level seemed to be quite deficient. This is the co-vitamin needed for proper FMO3 function...In the panel of 4 tests, tester 5 was similar to a couple of other testers in that their ethanol production in the Gut Fermentation Profile was much higher than normal. Like tester 2, who also had gut complaints, the ethanol result was very high (5th tester was 134, tester 2 was 140). Normal is less than 22. Tester 3 had an ethanol reading of 66. The Gut Permeability Profile scores of tester 5 were within range, although the curve seems to be tending towards hyper-permeability as the molecule size increases (tester 2,3 & 4 all had hyper-permeability). Indicans and D-lactate were normal (Indicans was positive for tester 3 and D-lactate was high for tester 2). Indicans is thought to be a general sign of 'putrefactive bacterial growth (feeding off protein). D-lactate is produced by lactic acid. The d-lactate result seems to indicate that tester 5 should tolerate lactic-acid bacteria ok (on paper). In the other tests, a striking result was that Vitamin B2 level seemed to be quite deficient. This is the co-vitamin needed for proper FMO3 function, which is the enzyme that deals with many smelly substrates including trimethylamine. The Hair Mineral Analysis test probably cannot be deemed as a very sensitive test of minerals, but perhaps is good as indicator of possible abnormalities to investigate. In this case zinc was quite low, and magnesium borderline low. Interestingly, almost all the 'good' minerals seemed borderline low apart from calcium. The 'toxic' minerals were all within normal range. The Small Intestine Bacterial Overgrowth test was fine. This detects any bacteria that is producing hydrogen or methane in the small intestine. Serum Glutathione-s-Transferase was normal. This is one of the '6' phase2 detoxification enzymes that detox substrates by joining the substrate (in this case glutathione). The Amino Acids Profile is still to be interpreted, although the only 'glaring' abnormality looks to be very low Taurine. So we still have no conclusive answers but hopefully someday a definite pattern will emerge. Gut dysbiosis is only one factor worth exploring, and even the tests chosen do not cover that area fully (for instance, parasites). There should be another 2 testers results over the next month. An idea was to later go for a 'TMAU' orientated panel of tests, which would provisionally include TMAU test, choline, and B2; but with tester 5's B2 level being so low and it being so associated with FMO3 function, it is thought perhaps B2 should be added as an option to the gut-dysbiosis panel, since it is only £21 at full price.